Recently, I decided to go through my sons closet to see how many toys he wasn’t playing with due to the fact that the batteries were dead. I was amazed at how many lifeless toys were heaped at the bottom of his closet, just because we never got around to replacing their batteries. I’ll save you from viewing a ton of pictures of all the toys in his closet… but, this red wooden crate filled with toys caught my eye. I thought, why not clear it out and fill it with the toys that were once abandoned, and put them back in the bucket with fresh new batteries! 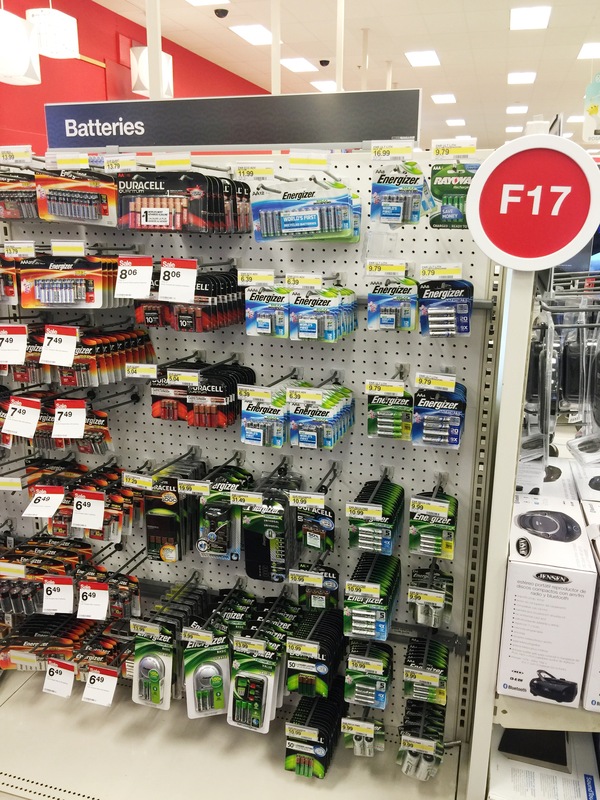 But, first a shopping trip was in order for the perfect battery for these once abandoned toys! 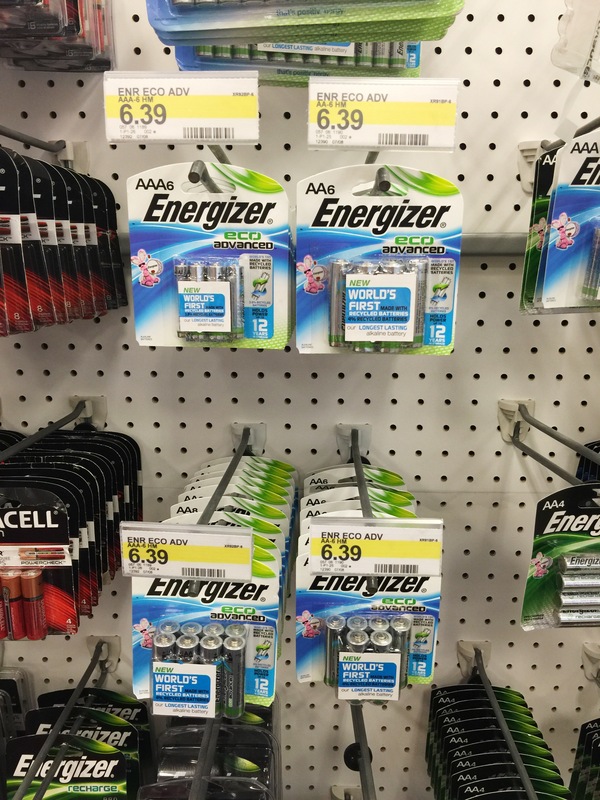 I went to Target and purchased several packages of the Energizer® EcoAdvanced™ batteries in AA and AAA (the most popular battery size for most toys!). 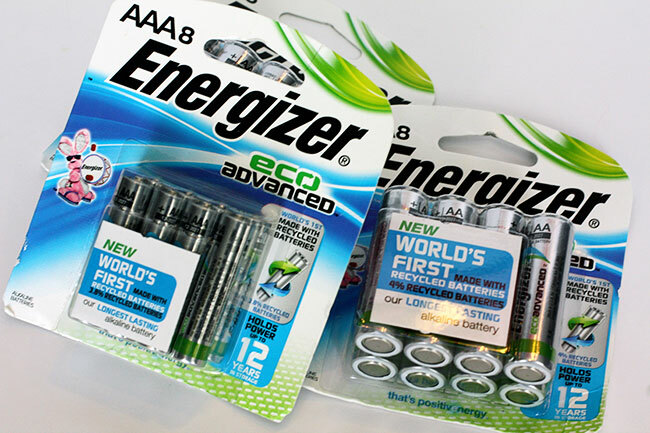 Did you know that Energizer® is the first company to create a battery from recycled battery materials? Energizer® EcoAdvanced™ AA and AAA batteries are our highest performing, most responsible alkaline batteries; by using longer lasting and reliable batteries, consumers use fewer batteries, create less waste and have less impact on the planet. When I got home, I got to work on decorating the chalkboard on the front of the wooden crate. 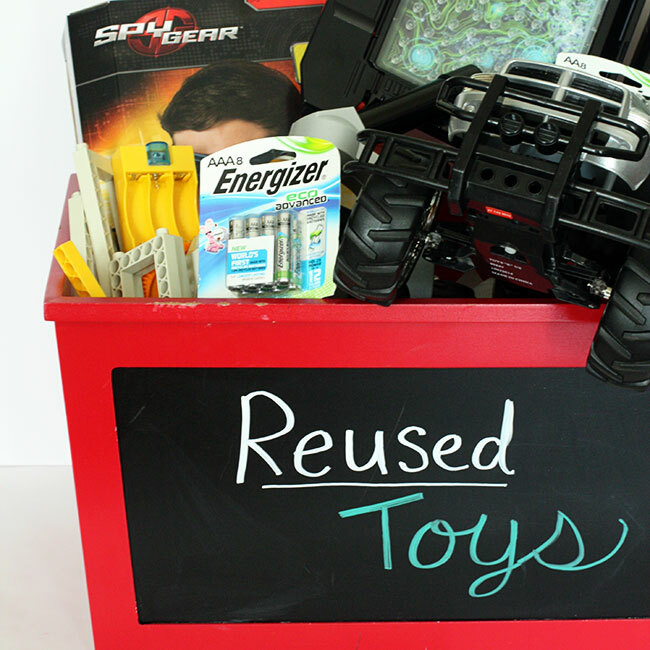 I decided to write ‘Reused Toys’ on the crate, because these were toys that were long lost and would now be loved again with a fresh set of batteries! I went to work at changing out all of the batteries in the toys and I filled the crate back up with them. And, ta-da! 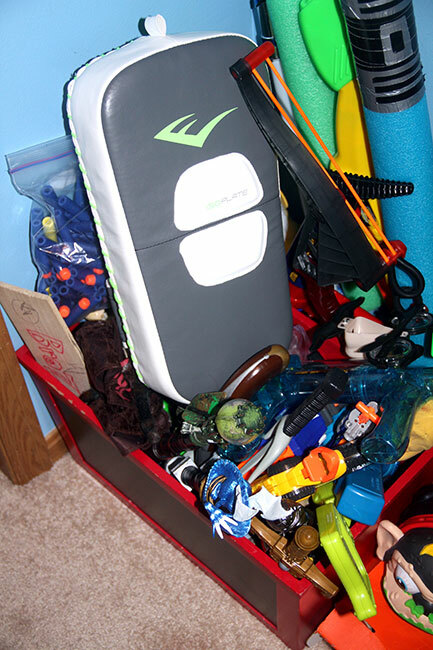 Here is the crate after I filled it back up with ALL of the toys my son had forgotten about. 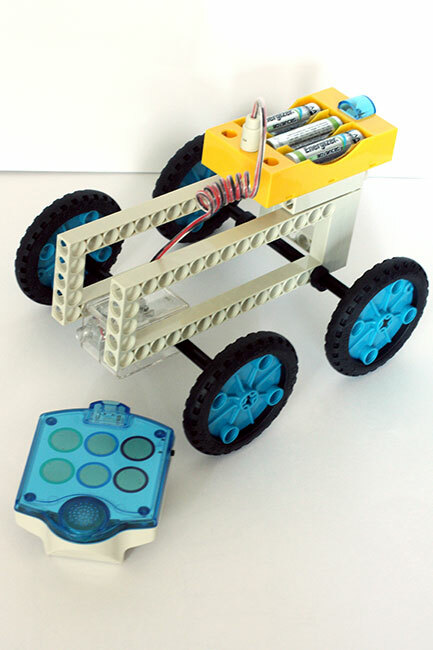 It included a robotic set, remote control car (those really eat the batteries! ), an old electric Battleship game, a toy he never took out of the box, because it needed batteries… and, lots more! It was like Christmas all over again! 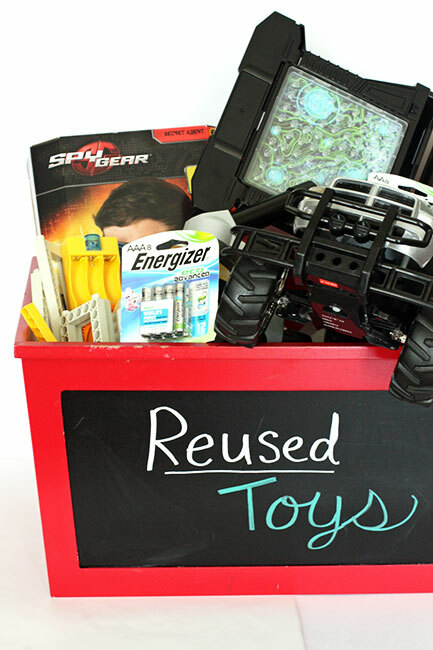 I was so excited to share this crate full of reused toys with my son when he came home form school! 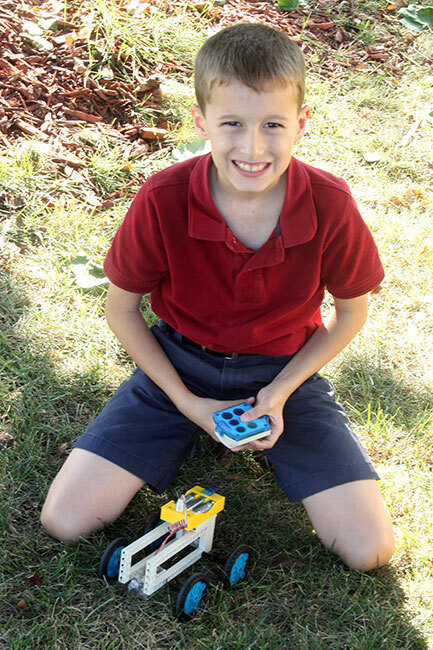 When he came home from school, he realized I had forgotten to put batteries in the remote control to the robotic car! Oops! Mom should have known, good thing I had his help to put some batteries in it! 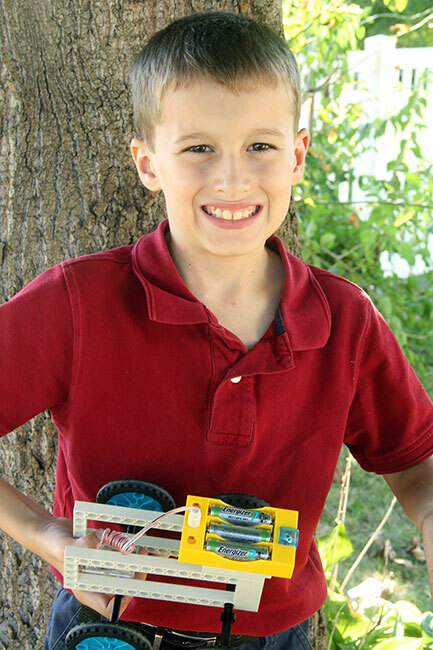 He went outside to check out the robotic car right away… He had to check out how well the batteries would work! And, the batteries worked wonderfully! And, they latest all evening without wearing out! 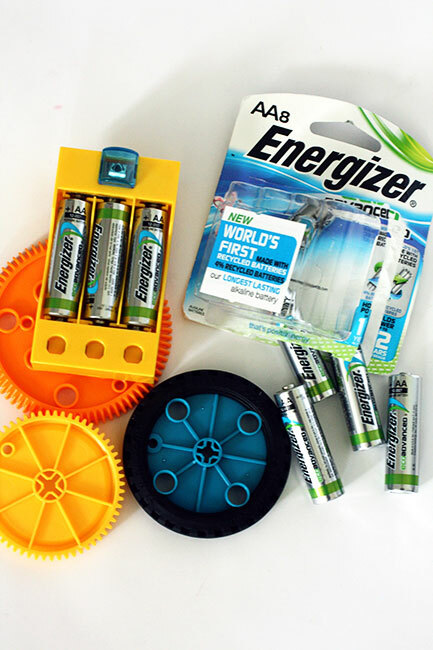 Did you know Energizer® EcoAdvanced™ is the world’s first AA battery made with 4% recycled batteries and is Energizer®‘s longest-lasting battery. 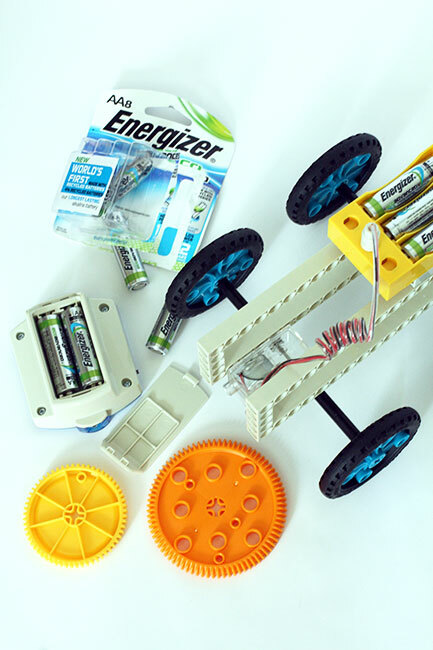 Isn’t it great to know that you can power up your toys and have less impact on the planet?! The car had lots of power and he was able to drive it on the patio AND on the grass (which can be a challenge if the batteries aren’t strong). He played and played with his reused toys and mom had lots of time to do a little gardening. It was definitely a win-win situation! Yay! 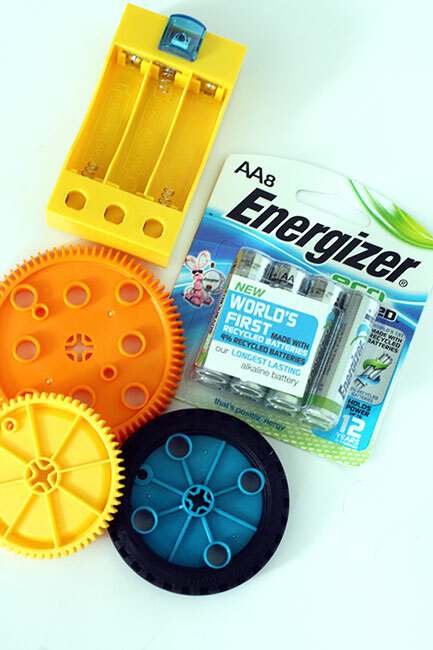 EcoAdvanced™ batteries are available in AAA and AA. It’s another step in our journey to bring performance and responsibility to the world. By 2025, our goal is to increase the amount of recycled battery material ten-fold to forty percent. It makes me feel good as a parent to use a battery that is good for our environment. I feel comfort in knowing that I am making a small yet important impact in our world by changing which batteries I use in my sons toys. 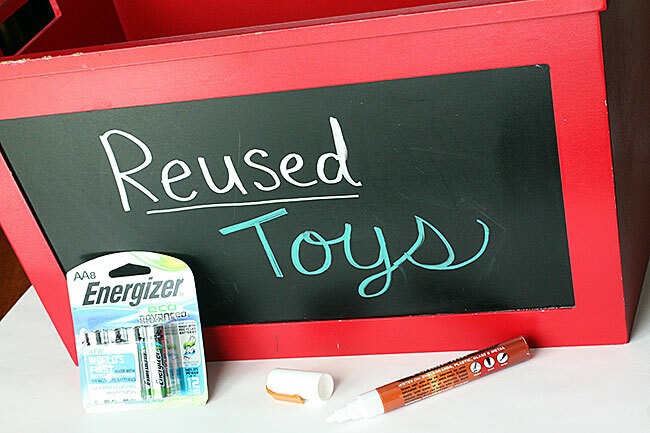 How would you reuse or repurpose something in your home? I would love to hear your ideas in the comments!